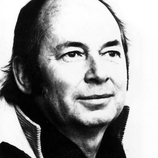 Quentin Blake was born in Sidcup, Kent, in 1932. After studying English at Cambridge University and Fine Arts at Chelsea Art School, he became a teacher. Quentin is now one of the best-known author-illustrators of children’s books. He has illustrated books by Roald Dahl and John Yeoman and has produced some films for children on BBC television. He has also managed the illustration department at the Royal College of Art in London.